Appearing in 27 Hollywood films, Rin-Tin-Tin gained worldwide fame and was responsible for greatly increasing the popularity of German Shepherd Dogs as family pets. The immense profitability of his films made Warner Bros. studios a success. 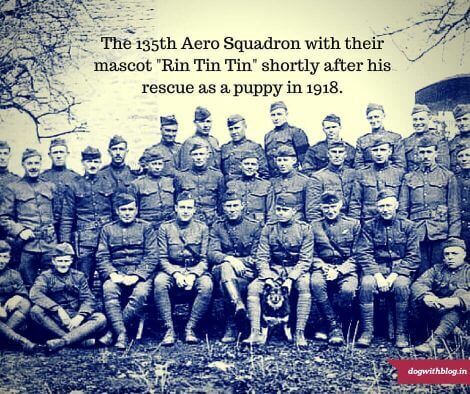 According to Susan Orlean, author of Rin Tin Tin: The Life and the Legend, Rin Tin Tin received the most votes for Best Actor at the first Academy Awards in 1929, but the Academy decided a human actor should win the award. 2. Red Dog (2011) Based on the legendary tale of the Australian dog who wandered through the Australian outback in search of his long lost master. Red Dog features in the top 10 Australian movies of all times – collection wise as well as critically. 3. Hachi: A Dog’s Tale (2009) Now a name synonymous with loyalty, Hachi narrates the legendary true story of a Japanese dog who waited years for his dead master to return. This movie may star Richard Gere but the showstopper is an Akita dog, who follows his owner every day to the train station, and then waits for him to come home…every single day even after the owner is no more. 4. Quill, The Life of a Guide Dog (2004) Ultimate homage to the unwavering loyalty and service of the guide dogs, Quill follows the journey of a Labrador Retriever, right from his selection from the litter to him becoming a guide dog for the visually impaired. 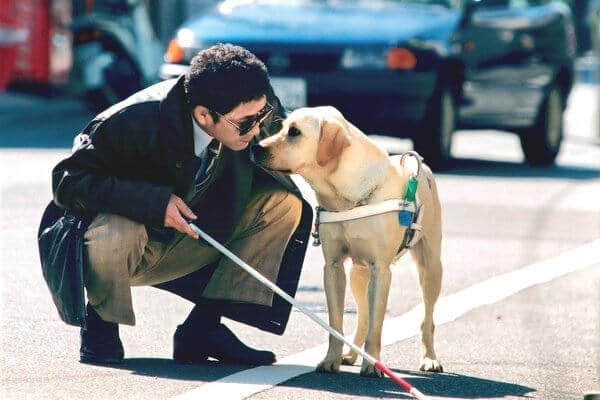 Post his training period at a school for guide dogs, Quill is paired with a blind man who at first is reluctant to rely on him. But Quill’s perseverance and patience eventually make them inseparable friends. The film was originally released in Japan and made it to the 2004 Toronto International Film Festival. A must watch! 5. 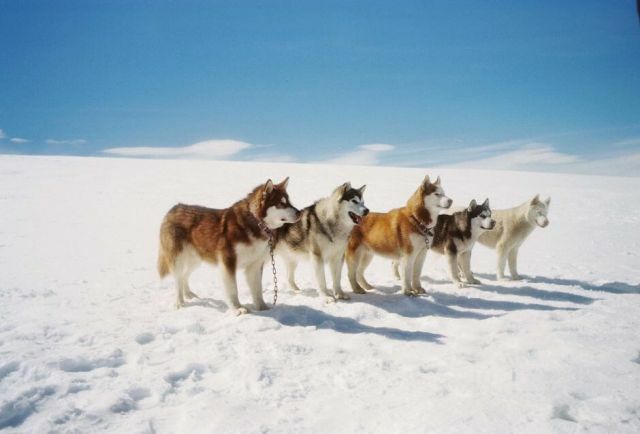 Eight Below (2006) – This incredible movie is based on a Japanese Antarctic expedition in 1958. The movie tells the sad story of dogs getting left behind chained in dangerously cold conditions, outside a research station while the humans leave in a hurry as winter sets in. The main guide, played by the late Paul Walker, constantly worries about the dogs back at home and tries through in every way possible to bring them to safety. The stellar cast of marooned mutts – Buck, Shadow, Max, Maya, Truman, Dewey, Shorty, and Old Jack; display true grit and tenderness, teamwork and resolve to help each other survive through the harshness. Unfortunately, in the original Japanese movie Nankyoku Monogatari, seven of the nine dogs die. This tear-jerker tells a tale worth knowing and leaves us with a moral question regarding the abandonment of the dogs who gave expedition, their absolute all? 6. Greyfriars Bobby: The True Story of a Dog (1961) The movie follows the true story of a loyal Scottish Skye Terrier, Bobby, who when his owner dies (and is laid to rest in Greyfriar’s Kirkyard, a cemetery), chooses to sleep on his grave, every night. Despite numerous attempts to chase the dog away, Bobby always finds his way back. The neighborhood becomes enamored of Bobby, but when no one will take responsibility and pay for the dog’s license, he faces death as a stray dog. The children of Edinburgh collect and contribute their pennies and Bobby is saved by the kindness of his human friends, adopted by the entire city of Edinburgh. 7. Balto (1995) narrates the story of an outsider dog’s real-life rescue mission journey when a case of diphtheria broke out among the children of Nome, Alaska in January of 1925. With roads down due to snow and the town’s single airplane been put away for the winter, Balto (voiced by Kevin Bacon in the movie) led a Sled dog team on the 674 mile trip to Anchorage, battling a blinding blizzard to deliver the medicine. Balto’s statue is a favorite of visitors to New York City’s Central Park. The famed Brooklyn-born sculptor Frederick George Richard Roth created this lasting tribute. 8. Air Bud (1997) Remember the sports-dominating golden retriever? The extraordinary story of a young boy who finds a friend in Buddy, a dog abandoned by his owner? Yes, you do! The true story behind Buddy is much more interesting—and realistic. 9. 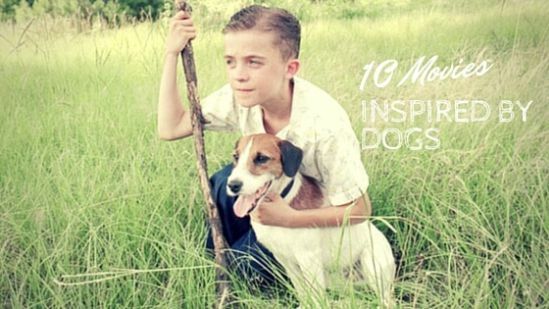 My Dog Skip (2000) is based on the autobiographical novel of the same title by Willie Morris. This coming of age movie includes a line-up of well-known actors, including Frankie Muniz, Luke Wilson, Kevin Bacon, and Diane Lane. The story follows a young boy who can’t seem to make any friends in his new Mississippi town. To solve the problem, his parents get him a puppy who helps him grow up. 10. 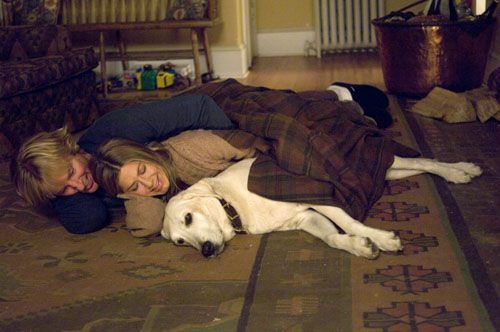 Marley and Me (2008) Based on the John Grogan’s autobiographical novel Marley & Me: Life and Love with the World’s Worst Dog, this Owen Wilson, and Jennifer Aniston starring movie follows a young couple’s adventures with a highly energetic puppy. Too proud to be tamed by perks or treats, Marley eventually leaves us with a tissue paper by the time the credits roll. Posted on October 13, 2015 August 1, 2018 Author Abhishek JoshiCategories Dogged reviews! Previous Previous post: What makes London Fire Brigade Dogs Awesome? Next Next post: How One Man Saved 450 Homeless Dogs?